Examples of the skulduggery that went on in high places during the over-long reign of His Highness François Mitterrand are numerous. They include the sinking of the Greenpeace ship in New Zealand in 1985 and an impressive series of kickback scandals. 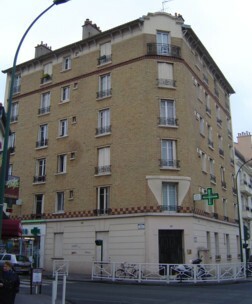 But surely the most bizarre case of them all is that of the three Irish republican militants arrested on August 28, 1982 after a raid on their apartment at 82, rue Diderot in the Paris suburb of Vincennes. The three arrested were Stephen King, Michael Plunkett and Plunkett's girlfriend, Mary Reid. None of the three were innocent tourists. In fact, they all belonged (or had belonged) to the Irish National Liberation Army—a smaller, but even nastier organisation than the IRA. Indeed, Michael Plunkett was former general secretary of INLA’s political wing, the Irish Republican Socialist Party. He had been involved in a number of bomb attacks around the continent in the 1970s but had been living “peacefully” with Reid and their son in Vincennes for three years. There was tension in the air in Paris during the summer of 1982. Seven bomb attacks had been perpetrated in the French capital in the space of under three months, including one in a Jewish district on August 9 that killed six and wounded 22. On the evening August 28, the French president’s office issued a press release trumpeting “important arrests in international terrorism circles”. It turned out the "important arrests" were those of King, Plunkett and Reid. Though the three were not charged in connection with the August 9 attack, which was carried out by Palestinians, they were charged with possession of three weapons and a small quantity of explosives. The three were tried in Créteil and later in Paris where the prosecution attempted to link them with Action Directe, a French terrorist group. Reid, Plunkett and King were each sentenced to five years imprisonment...only to be released on appeal nine months later, in 1983. In between, it emerged that the police had planted two of the guns and the explosives found in the apartment and that neither King nor Plunkett were present during the police 'search'. The bones of the case are the following. Upon his election as president in 1981, Mitterrand set up an anti-terrorist unit answerable to him alone. This unit was headed by Christian Prouteau, who already headed another police outfit called GIGN (Groupement d’Intervention de la Gendarmerie Nationale). Although nominally part of the French gendarmerie, in fact the heads of the police force never knew much about the activities of the GIGN. Instead, the GIGN became an instrument of the French president and was used to protect Mitterrand’s (much tormented) private life. Thus, in between organising completely illegal phone taps on journalists, judges and political opponents, one of Prouteau’s tasks was to drive Mitterrand’s illegitimate daughter Mazarine to school each day! It quickly turned out that Prouteau and his side-kick Paul Barril had planted the incriminating arms in the Irishmens' apartment in a bid for glory. Unfortunately for them, and despite the considerable efforts undertaken to convince various policemen to sign false statements, their story quickly fell through. Charges were then brought against several of the officers involved in the Vincennes raid, with the case dragging on in the French courts for several years. In 1989, Plunkett, King and Reid sued for wrongful arrest and were awarded a symbolic one franc in damages. In August 1992, they brought another case against Barril for “attack on personal freedom”, only to see the case thrown out of court in April 2003….almost 21 years after that fateful day in the summer of 1982 when they were arrested on trumped-up charges. INLA activity in France did not end with the Vincennes affair. On May 9, 1985, Seamus Ruddy (Newry, Co. Down, 1952 - France, 1985) went missing in Paris. Two days later his blood-covered clothes were found near the city of Rouen—but not his body. It appears that Mr Ruddy was working as an English teacher in France when he was killed in an internal INLA dispute over arms smuggling. His body was secretly buried in an arms dump in a wood in Normandy before being moved to another arms dump in the same wood. In 2000, new information led the French authorities to undertake a search in a precise corner of the Bord forest near Rouen—but to no avail. 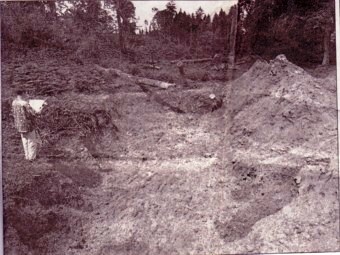 Finally, in May 2017, Ruddy's remains were found in the forest after new information was received from erstwhile INLA operatives. Seamus Ruddy, from Newry, was something of an intellectual, and in Paris contributed to a republican propaganda sheet called L'Irlande Libre. 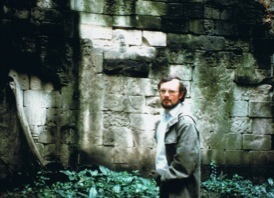 There is even a web site devoted to him, www.seamusruddy.com, which contains photos of his time in Paris. One of Ruddy's killers, John O'Reilly, was shot dead in an INLA feud in 1987. Another died of a heart attack in 1999. The inimitable Stephen King made the French newspapers again in October 1992 when he was arrested in Brittany, where he had been living and working as an electronics technician. He was detained because he was mentioned on a list of Basque-separatist sympathizers in the region. Mary Reid had not given up her militant republican sympathies when she died in an apparent drowning accident on a beach in Donegal in January 2003, aged 49. As for Christian Prouteau, he turned up to again on various television channels in March 2012 to pontificate on how best French anti-terrorist forces should conduct their siege of the Toulouse apartment of the the terrorist Mohammed Merah.